DULLES, Va. & SACRAMENTO, Calif.April 7, 2008--Orbital Sciences Corporation (NYSE:ORB) and Aerojet, a GenCorp Inc. (NYSE:GY) company, announced today that together the two companies successfully conducted a static firing of the jettison motor, a key component of the Launch Abort System (LAS) for NASA's Orion next generation human spaceflight program. 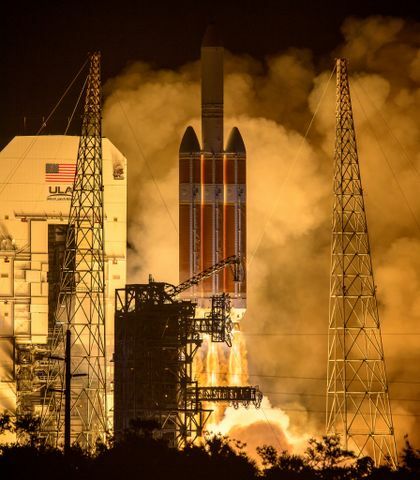 Lockheed Martin Corporation (NYSE:LMT) is the prime contractor for the Orion project, which is part of NASA's Constellation Program to send human explorers back to the Moon and then onward to Mars and other destinations in the solar system. Orion's LAS, being developed by Orbital, is a new capability that will allow the astronaut crew to safely escape in the event of an emergency during pad operations or during the ascent phase of the flight. Aerojet is responsible for the jettison motor, which would be used on every mission to jettison the LAS when it is no longer needed. The successful test firing of the jettison motor increases the technical readiness of the LAS and is a major operational accomplishment as the first full-scale rocket propulsion test for the Orion program. 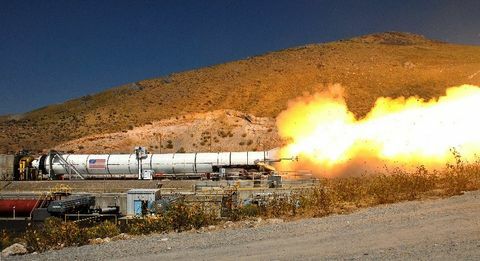 Commenting on the successful static fire test, Orbital's LAS Program Manager Henri Fuhrmann said, "The Aerojet propulsion team has done an outstanding job on the jettison motor project as evidenced by the successful full scale test firing. With each milestone achieved, the Launch Abort System team is closer to delivering and testing the first full system of the Orion program, which is scheduled for late this year." The full-scale jettison motor test successfully met test plan objectives, providing data to validate analytical models. It also demonstrated that the system's design criteria and manufacturing processes are in place for the jettison motor system to meet the technical and scheduling requirements of the LAS. The Orion LAS development program includes several planned demonstration flights, including a pad abort demonstration at the U.S. Army's White Sands Missile Range in New Mexico at the end of the year. "This focused 18-month effort to design and fabricate the motor and conduct a high-fidelity static firing has proven the performance objectives of the Launch Abort System jettison motor and is a key milestone for the upcoming Orion Pad Abort-1 flight test," said Aerojet President Scott Neish. The Orion Crew Exploration Vehicle is an advanced capsule design utilizing state-of-the-art technology that will be the successor to the Space Shuttle in transporting humans to and from the International Space Station, the Moon and other destinations beyond low-Earth orbit. The LAS design, using Orbital's proven small rocket technology and Aerojet propulsion systems, is a key element in vastly improving the safety of the flight crew as compared to current human space systems. Orbital develops and manufactures small rockets and space systems for commercial, military and civil government customers. 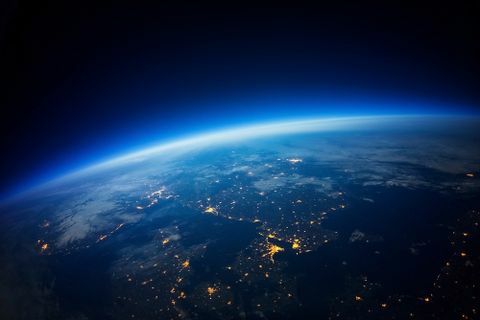 The company's primary products are satellites and launch vehicles, including low Earth-orbit, geosynchronous Earth-orbit and planetary spacecraft for communications, remote sensing, scientific and defense missions; human-rated space systems for Earth-orbit, lunar and other missions; ground- and air-launched rockets that deliver satellites into orbit; and missile defense systems that are used as interceptor and target vehicles. Orbital also offers space-related technical services to government agencies and develops and builds software-based transportation management systems for public transit agencies and private vehicle fleet operators. More information about Orbital can be found at http://www.orbital.com. Aerojet is a world-recognized aerospace and defense leader principally serving the missile and space propulsion and armaments markets. GenCorp is a leading technology-based manufacturer of aerospace and defense products and systems with a real estate segment that includes activities related to the entitlement, sale, and leasing of the company's excess real estate assets. Additional information about Aerojet and GenCorp can be obtained by visiting the companies' Web sites at: http://www.Aerojet.com and http://www.GenCorp.com.